The Forrester Wave: Global Digital Business Transformation Accelerators, Q1 2019 evaluated 15 providers of digital transformation, naming its leaders, strong performers, and contenders. The report said many firms have built up their transformation capabilities within operational silos and while each of the firms can deliver most of the capabilities evaluated, few can deliver them seamlessly to customers as a transformation accelerator service. 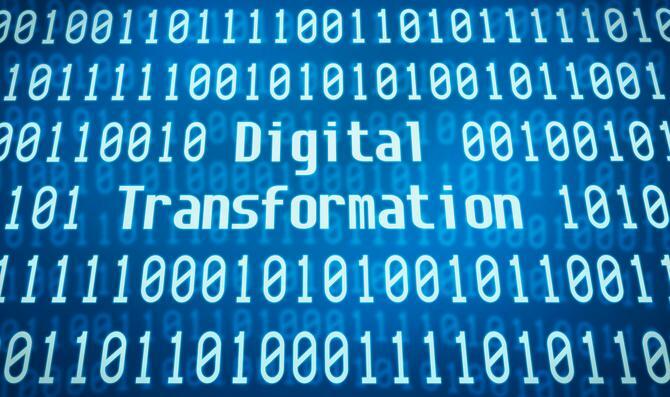 “Executives the world over now embrace the importance of some kind of digital transformation. But few CEO’s understand what’s required to truly evolve their company into an effective digital business,” the report said. The report said EY stands out as a business innovator and integrated transformation capabilities; McKinsey & Company leads in strategy, change management and is outcome-based; Accenture delivers broad capabilities for complex transformation, Publicis Sapient designs great digital experiences, IBM was noted for its unmatched technology expertise, and PwC for its operations design and execution, and change management. The report also noted Deloitte, KPMG, Capgemini, Cognizant, Wipro, and Atos as strong performers; and Tata Consultancy Services, Infosys, and DXC Technology as contenders. Forrester says in the report that customer centricity, integrated capabilities, and digital assets are key differentiators, and vendors that can provide a research approach to strategy development, integrated digital design and execution capabilities, with the ability to reduce time-to business-impact, successfully deliver true digital business transformation to their customers. The report goes on to recommend looking for digital transformation providers that: Have the capabilities to design business for change, can seamlessly integrate emerging technologies to design new experiences, and bring tools to reduce the time-to-business-impact from years to months. Sarah Adam-Gedge, managing director of Publicis Sapient Australia, said to be recognised as a Leader in The Forrester Wave: Global Digital Business Transformation Accelerators, is a fabulous achievement, as Forrester is a true barometer of the strength of the industry. “As a digital business transformation leader, Publicis Sapient Australia supports its clients move between ‘now and next’, as they face an unprecedented environment of rapidly changing consumer preferences, increasing expectations around regulation, and massive technology possibilities. To help our clients transform and thrive, we also need to continually transform our own business and recognition such as this serves to inspire our team and push us even further,” she said. The report, authored by Nigel Fenwick, vice president and principal analyst at Forrester, evaluated each of the 15 vendors against 24 criteria, which were separated into three broader categories: current offering, strategy, and market presence. To be evaluated, the vendors had to have a global delivery capability and revenue in excess of $8 billion, and a broad range of transformation capabilities.